Missing our northern Idaho anti-fracking comrades, but in solidarity with the wounded, the warriors, and the community of Mi’kmaq people, as the North American civil war against fossil fuels commences with spilt blood, Wild Idaho Rising Tide (WIRT) traveled cross-state on Friday for the Idaho Global Frackdown 2 on Saturday. On the way, WIRT delivered $1225 in Moscow community contributions raised at the September 20 benefit concert for the legal expenses of arrested Nez Perce megaload protesters. Due to a weekend on the road (THAT would be a blockade…! ), Idaho and New Brunswick fracking, tar sands/megaload, and movement updates since October 13 will have to wait until the next WIRT newsletter. For now, as documented in the following links, please watch for, photograph/videotape, and report to WIRT and allies any 12- to 13-foot tall, silver, stainless steel barrels on two-foot-high trailers on Highways 12 and 95 and at the Port of Wilma. They are pieces of the purportedly “irreducible” evaporator stranded by the Nez Perce/Idaho Rivers United court case. And please pitch in to help arrested Nimiipuu activists raise $800 over the next week. On October 16, an attorney agreed to represent all but a few of the arrested Nimiipuu (Nez Perce) and allied activists, defending them against charges incurred during early August blockades and protests of an Alberta tar sands waste fluid evaporator traversing Highway 12 in Idaho. The group lawyer has requested a $2000 retainer fee as soon as possible, so Nez Perce and WIRT activists are seeking $800 in donations, beyond the $1200 that generous Moscow supporters raised for our Nimiipuu allies at the September 20 benefit concert. Please donate soon through WIRT’s WePay link or by sending a check to Wild Idaho Rising Tide at P.O. Box 9817, Moscow, ID 83843, specifying Nez Perce recipients. We also welcome your notes to wild.idaho.rising.tide@gmail.com about your contribution, which we will share with these passionately courageous defenders of their homeland, treaty, and tar sands impacted indigenous people. Thank you! We eagerly anticipate further videos and photographs captured by participants in the Tuesday night Moscow megaload protest, No Tar Sands Megaloads Anywhere!, as we prepare for ongoing confrontations with Alberta tar sands equipment on Highway 95 and beyond. See the WIRT photo album description and captions for more information. Although not as horrific as the 31 coal train cars that wrecked near Mesa, Washington, on July 2, 2012, the September 30 derailment only a few blocks from the former Occupy Spokane Clubhouse thankfully involved only empty cars, not full Bakken shale oil tankers or loaded coal cars. It underscored the implicit danger of carbon fuel rail corridors through densely populated areas. On Tuesday, September 17, three members of Deep Green Resistance Lower Columbia spoke at a scoping hearing in Longview, Washington, addressing the $643 million construction of the Millennium Bulk Terminals proposed to ship Ambre Energy coal from Montana and Wyoming to Asia. Five Washington hearings, conducted by the U.S. Army Corps of Engineers, state Department of Ecology, and Cowlitz County, are gathering public input about the scope of a draft environmental impact statement. These three young men addressed the potential for coal infrastructure sabotage and other forms of direct action, in attempts to convey the severity of the global ecological crisis, to stimulate necessary, meaningful coal export resistance, and to network with protesters in the audience. Photos from the Wednesday, September 25, Riverfront Park public rally and Spokane Convention Center scoping hearing about the Millennium Bulk coal export terminal proposed for Longview, Washington: Thanks to all of our amazing Spokane area and northern Idaho comrades! The Spokane scoping hearing and rally for Millennium Bulk Terminals, which four Moscow participants missed due to other obligations, drew front page newspaper coverage! Five activists of Occupy Spokane, WIRT, and re-emerging Spokane Rising Tide protested and participated in the most remote and neglected, least attended Longview coal export facilities scoping hearing on Tuesday evening, October 1, at the Trac Center in Pasco, Washington. Thanks to Tomas Madrigal for his photos of this successful event! Helen Yost of WIRT recorded and edited all except the first half-hour of the three-hour scoping hearing in Pasco, later enhancing sound quality, removing gaps during speaker turnover and lottery ticket drawings, and posting it among selected Climate Justice Forum radio programs on Radio4All. Dennis Bernstein talked with Helen Yost of WIRT by phone at the Millennium Bulk Terminals coal export scoping hearing on October 1 in Pasco, Washington, during the first 23 minutes of the nationally broadcast radio program Flashpoints. They discussed the Northwest coal export issue, Nez Perce protests and lawsuits against Alberta tar sands infrastructure transports, and growing resistance to dirty fossil fuels and consequent climate change. The Washington State Shorelines Hearings Board will reverse permits for two Grays Harbor Bakken shale/Alberta tar sands crude-by-rail shipping terminals, requiring the City of Hoquiam and the Washington Department of Ecology to conduct complete environmental reviews for three proposed oil ports that would receive tens of millions of barrels each year from mile-plus-long, daily trains, store the oil in huge tanks on an estuary shore, pump it over the Chehalis River onto tankers and barges, and increase large vessel traffic four-fold through the difficult port passage. Tesoro plans to transport 16 million gallons of fracked Bakken shale (and tar sands?) oil across the Northwest EVERY DAY to two of eleven current/proposed rail-to-port/refinery terminals on the coast. On September 29, a Tesoro pipeline spilled 865,200 gallons of shale oil in Tioga, North Dakota, in one of the largest onshore oil spills in recent U.S. history. (Enbridge spewed 843,000 gallons in Michigan in 2010, and ExxonMobil leaked 235,000 gallons in Arkansas in 2013). When will this madness end? Confront fossil fuel corridors, Northwesterners! WIRT and Spokane Rising Tide should visit our comrades of the new Vancouver (Washington) Rising Tide and participate and protest at the Washington state Energy Facility Site and Evaluation Council (EFSEC) public meeting on Monday, October 28, and the public scoping hearing on Tuesday, October 29, both from 6 to 9 pm at the Gaiser Student Center, 1933 Fort Vancouver Way in Vancouver, Washington, addressing the controversial Bakken shale/(tar sands?) oil terminal proposed at the Port of Vancouver. Provide your comments to EFSEC@utc.wa.gov about the scope of the environmental review of the terminal, which should include the looming disasters of oil unit trains crossing Montana, Idaho, and Spokane. Stand up and fight back against fossil fuel corridors in the Northwest! 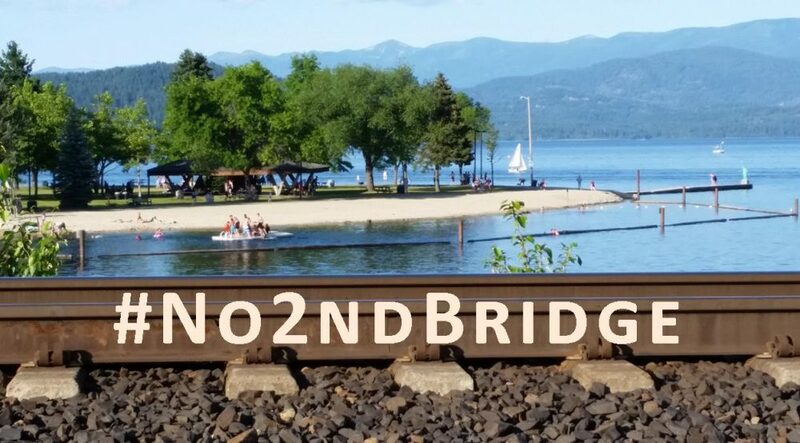 Thanks to Idle No More Washington and John Vogt for finding and sharing this information: The Port of Olympia is accepting and storing shipments of ceramic proppants transported by rail to Bakken shale oil fracking operations in Alberta, Montana, and North Dakota. Apparently, concealing and/or securing controversial loads happens beyond Lewiston area ports. Fellow Americas: we are FRACKED! This year, the U.S. will hemorrhage more petroleum and natural gas than any other country, and “fracking is now used to stimulate production in 90 percent of domestic oil and gas wells,” according to the Interstate Oil and Gas Compact Commission.